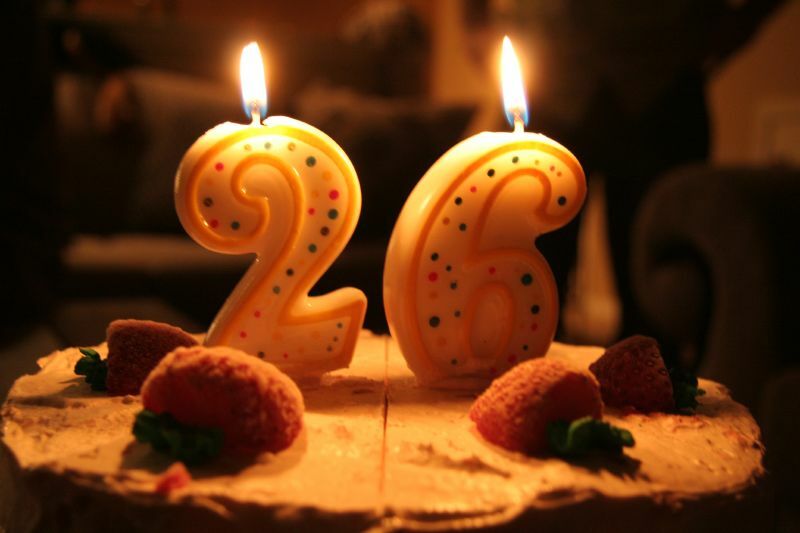 THE WRITING BUDDHA - Opinions | Books | Movies: My 26th Birthday! The Most Pleasant One Ever! I celebrated my 26th Birthday yesterday and it has been one of the best birthdays ever. No, not by the means of how I celebrated the day but the kind of life I'm living at the time of this event which comes once in an year. I remember last birthday when I wrote the post, I was cribbing about how confused and worried I am about my near future life as I have never been master of anything but always tried to be jack of all. It is after that when I took an important decision of enrolling myself for a computer course which I always wanted to do. I took a part-time internship for my Semester-6 after I understood that there's not much scope for me in future on coding and development part. I invested 5 days a month in this classes while only 2 days in the internship. As the days passed, I found myself getting a direction which I always wanted to make my career in. Now I had started getting a wonderful confidence regarding the interviews and my near future. Though there was always worries about getting a job in this city called Mumbai where lakhs of student passes out each year. Now the life is finally stable and it seems as if a cool breeze is passing through me every minute. A silence and peace have engulfed all around. I do not want this moment to pass. Though I feel nervous about job but I do not hate Mondays even when I'm scared of what new might be thrown at me. Basically, I am loving this new real challenge of life and I wish I keep learning and growing daily to achieve what I want- a Managerial position in life with pretty good life where I can drive car with my family and enjoy all the great places of my country. As I also mentioned in my last birthday post of how I was also wishing to get into regular MBA to avoid this difficult phase of searching an appropriate job, I have finally ended up enrolling for a part-time MBA. I hope by next birthday, I can proudly write on this very space that I cleared my first year with fine marks. :-) Thanks a lot everyone who wished me yet again. Who is so lucky to get almost 2000 wishes in total through the people he doesn't know? :-) Thanks for making this birthday special for me. Love you all.